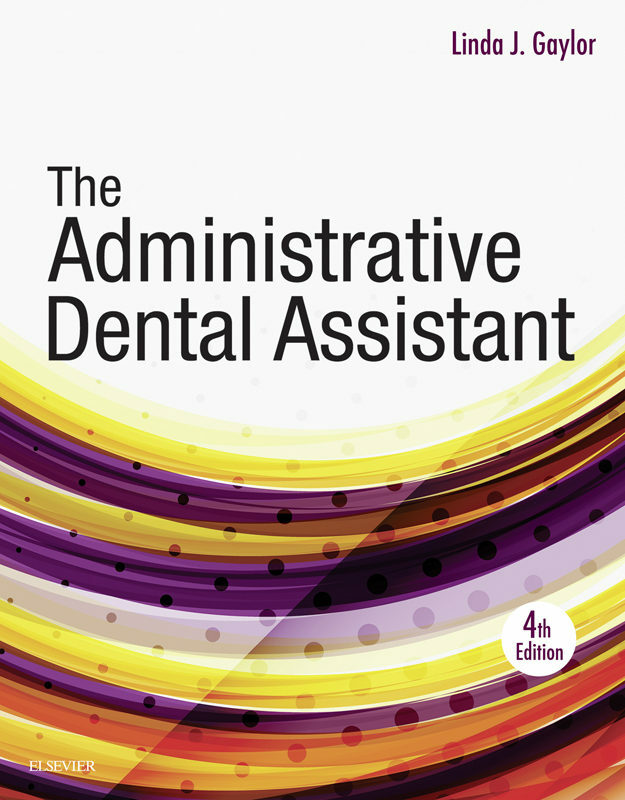 Prime yourself for a successful career in the modern dental office with The Administrative Dental Assistant, 4th Edition. As it walks through the functions of today’s dental business office, you’ll learn how to master critical thinking, effective communication, and common tasks such as scheduling, patient records, and insurance processing along the way. This new edition also boasts a variety of new features, including: expanded information on the electronic health record (EHR) and the paperless dental office; professional tips and insights; the most recent HIPAA and OSHA guidelines; important soft skills, including Career-Ready Practice exercises; and all the latest technology, equipment, and procedures in use today. Paired with its companion workbook and online learning tools, The Administrative Dental Assistant is the sure fire way to keep you on top of this ever-changing profession.Comprehensive coverage provides everything you need to know to manage today’s dental office.Approachable writing style presents need-to-know content in a way that is easy to grasp, regardless of your reading level or setting. Trusted author Linda Gaylor lends years of experience as a practicing dental assistant, instructor of dental assisting, and curriculum director.Procedure boxes provide step-by-step instructions on a wide variety of dental office duties.HIPAA boxes keep you well-versed in the key concepts and applications of the Health Insurance Portability and Accountability Act.Anatomy of… images with annotated text break down common dental office equipment, forms, and administrative to further comprehension.What Would You Do? boxes present common situations you may face in the work place.Patient file folder with examples of both electronic and paper clinical forms and records provides you experience working with confidential documents.Art program showcases images of electronic and traditional paperwork, actual offices, equipment and technology to help reinforce the text.Bolded vocabulary terms and glossary give you a foundation for effective office communication.Key points allow you to ensure that you have grasped key content before graduating to the next chapter.Dental office simulation tool on the Evolve companion website allows you to practice many of the typical office functions in a realistic virtual environment.Did You Know? boxes feature snippets of helpful background information to context or rationales to office processes and procedures.Food for Thought boxes highlight key concepts and call readers’ attention to various ways the concepts are used in everyday life. .
Otros ebooks de Linda J Gaylor.